I’ve heard that it can exist but never dreamed I’d attain it. As a musician/composer, church leader, social media user, and entrepreneur, I wear far too many hats to be at Inbox Zero. As you can see from this real screenshot above, I have different email accounts for each role that I’m in. Most of my e-business emails come to one account, my personal email to another, my church email to another and my @highestpraise.com email is used for my music and “Highest Praise Productions, Inc” corporate correspondence. 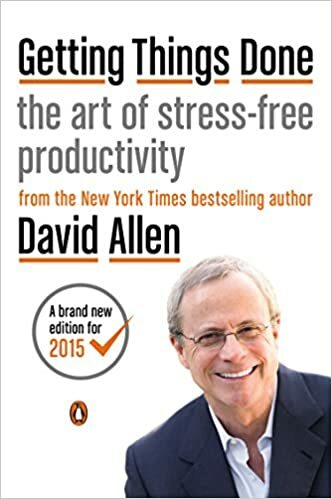 I’ve been reading David Allen’s infamous productivity book, “Getting Things Done: The Art of Stress Free Productivity“. I’m only half way through the book but have been applying the principles already. (GTD is the acronym for “Getting Things Done”, by the way). As far as how I obtain that with email, I won’t try to explain that in as much detail as my friend Michael Hyatt does. Michael was one of the first who introduced me to the “Inbox Zero” concept on his incredible blog so go and read that if you’re interested. Basically, I’m using two primary tools to get my inbox to zero and get my “multipassionate” self in order. (yes, that’s the new buzzword for crazies like me who are passionate and engaged in many different activities). 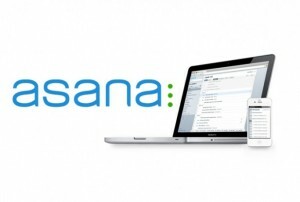 There’s the obvious … my email program … and then a resource called ASANA. I discovered ASANA when our admin team at my church started using it. They would build projects and assign tasks with it. I’d open my inbox and have a bunch of emails about various tasks that were assigned to me like a virtual to-do list. I didn’t like it and would beg the admins to “stop ASANA-bombing” me. When I decided that my life felt too chaotic and I wanted to make a change, I came back to ASANA. It allows me to create multiple workspaces to represent the sections of my life, similar to the way I’ve created separate email accounts. If I forward an email to ASANA from one of my email accounts, it recognizes the email and assigns that as a new task in the correct workspace. Email has already somewhat captured tasks or items for you, whether you like it or not. These need to be clarified, though. When I go through my inbox, I ask myself the same questions that are taught in David Allen’s book. Is this actionable? Yes or No? If no – I need to delete it, or archive it. Perhaps it’s not actionable, but it’s information I may need later. If so, I archive in my mail folder. If it’s part of a project that is farther away, I forward the email to ASANA and let assign it to “later” project. If the answer is YES, I ask myself another question: “Can I accomplish this in two minutes or less”? If so, I try to do it immediately. If not, I either move it into ASANA as a todo, a part of a project, or better yet, I delegate it to the person who is better off handling that. Organizing, Reflecting, and Engaging . Once or twice a day, I go through each workspace in ASANA and either accomplish, delegate, or move each task to a project. Projects with established due dates are kept fresh and vague projects or fresh ideas are simply marked as “later”. Lastly, I delegate. I lead by delegation and run my businesses that way as well. Is this a Better Me? I can say that I’ve been at this for one full week so it’s too soon to say I’ve nailed it. However, I can testify that it’s boosted my productivity and increased my sense of peace. I am remembering things, accomplishing more, not dropping the ball on projects, and best of all – I’m freeing up space in my mind for new, creative ideas to come forth. Every thing that comes to mind that I need to do (or want to do), I try to get out of my head as quickly as possible and into ASANA (capturing). Since my iPhone is with me always, that’s super easy with the app. I think this may be more helpful if I share some practical examples. Let’s save that for another post in the near future, so stay tuned. Because actually, writing this blog was a last minute decision that wasn’t in the plan — it wasn’t in the task list, nor was it a project .. it just happened. You’ve got to have a little wiggle room, right? But, there are urgent things due TODAY, like sales tax returns and some accounting in my business. Then maybe I can switch to my music workspace and work on that new piano album! Hope you have an amazing weekend. If you’re still with me — I’d love to hear from you via comments below. This post isn’t really about music, it’s about my life and leadership principles. How do you like this content? Would you like to see posts like this in addition to regular life and music posts? Scroll down and comment away.